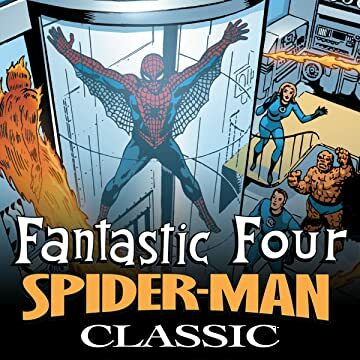 Collects Amazing Spider-Man (1963) #1; Spectacular Spider-Man (1976) #42; Fantastic Four (1961) #218; Marvel Team-Up (1972) #100, 132-133; And Untold Tales Of Spider-Man Annual 1996. Marvel stars past and present unite in a series of senses-shattering slugfests for the ages! 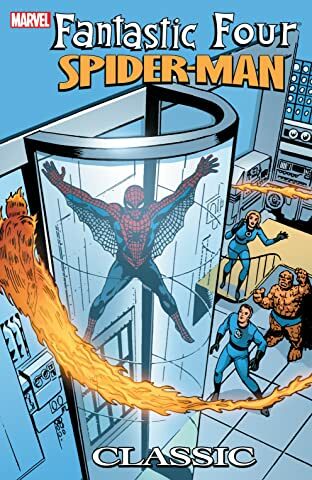 At the dawn of the Marvel Age, Spider-Man meets the Fantastic Four as the Chameleon strikes! Also featuring a battle royal with the Frightful Four! The first appearance of the future New Mutant known as Karma! The villainy of Dr. Doom! A date with Invisible Girl! When comics' first family and everybody's friendly neighborhood wall-crawler get together, chaos is sure to ensue!